From Bridget Jones to Borat, BAFTA winner Dan Mazer has forged a successful career writing and directing comedies around the world. 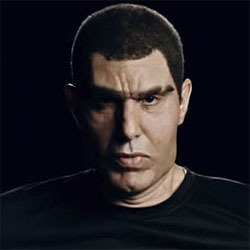 Known for crafting unique characters and subverting the norms of storytelling and filmmaking – and for his long-term partnership with Sacha Baron Cohen – Mazer has consistently broken boundaries to create comedies that challenge taboos and ignite debates. His most recent series, Who is America? ignited an immediate sensation when it debuted with US Senators and Congressmen being pulled into the mayhem with hilarious and self-revelatory results. Come along to hear Mazer talk about his career of making films people can’t help but talk about. Networking is dramatically important for screenwriters. The LSF makes it very easy!